To add raduni web app to your mobile home screen or your PC desktop, open the browser option menu and tap on "Add to Home screen or Add to desktop". we hope you enjoy our food and our new order online takeaway meal website. 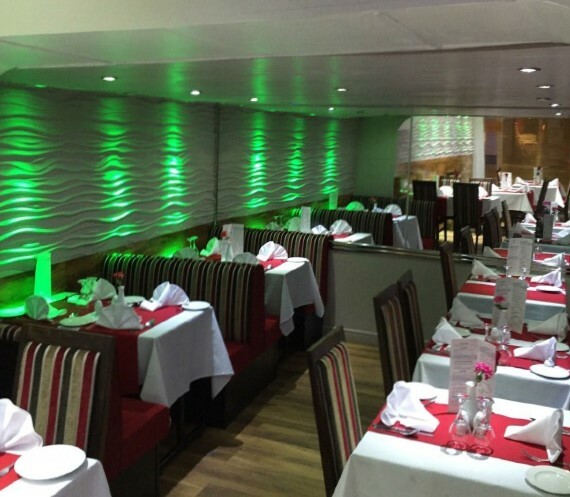 The best indian restaurant in Monmouthshire, tempted by an unrivaled range of authentic & imaginative fusion dishes. Our food is cooked to the highest standards only using the best quality & freshest ingredients. 15% DISCOUNT OR FREE BOTTLE OF WINE on takeaway collected on orders of £45 or over. Note: No Discount on Set Meals, prices are already discounted. 10% DISCOUNT on collected takeaway orders over £14. 10% STUDENT DISCOUNT when dining in. FREE HOME DELIVERY within a 3 mile radius on order over £20 .